We are proud to welcome another aircraft steeped in history into our ever-growing Aviation Tag fleet – the L-1049, manufactured by the Lockheed Aircraft Corporation. 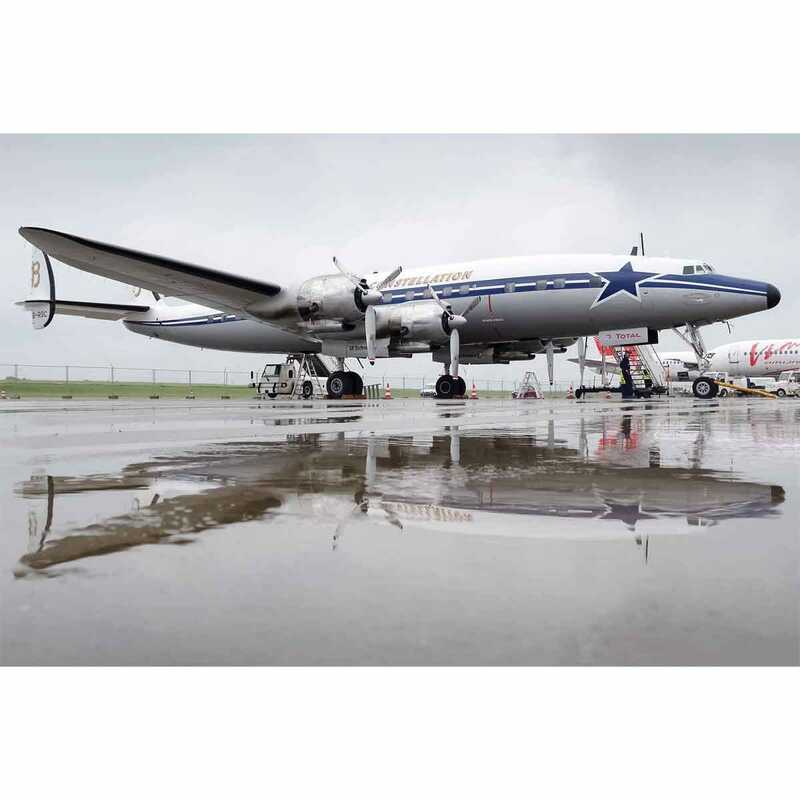 Built in 1955 based on plans by the legendary Howard Hughes, the Super Constellation, also affectionately dubbed Super Connie, initially flew for the US Air Force before then being converted into a fire-fighting plane in the 70s. After more eventful years that followed, the L-1049 was on the verge of disrepair until in 1991 an historical association saved it and made it airworthy again. In 2004, it was rechristened the “Star of Switzerland”, given the logo of its then sponsor Breitling and transported to Switzerland. Since 2007 it has been registered under HB-RSC as a historical plane and is a popular photo op at many flying shows. 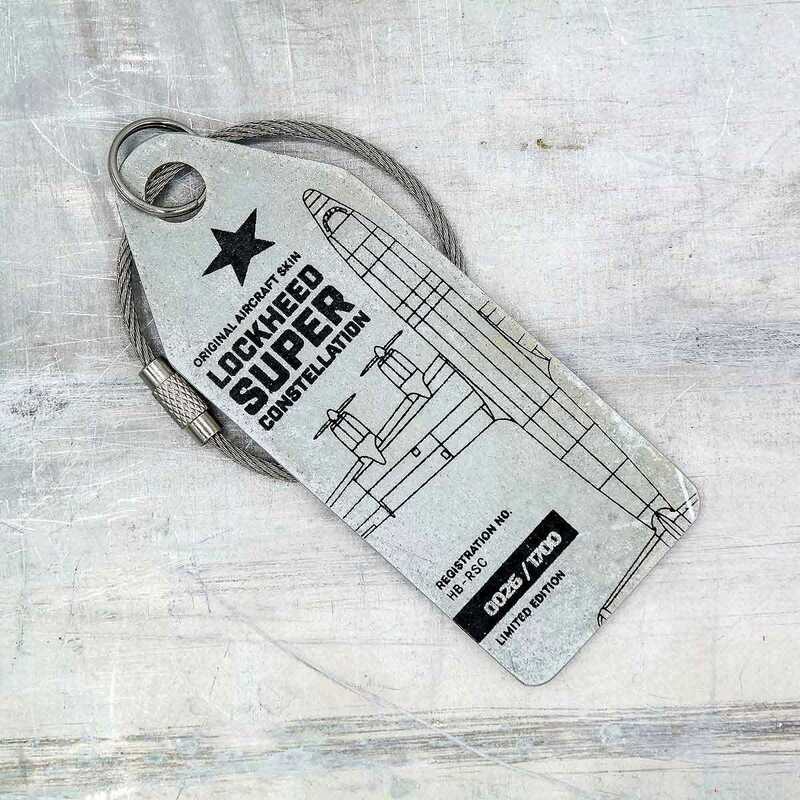 This is the first Aviation Tag from an aircraft still in operation. The HB-RSC is one of the very few L-1049 Super Constellations worldwide that are still in service. Please Note:Every Tag is unique. Depending on the plane, Tags may vary in terms of haptics, material thickness and color. Small blemishes bear witness to the plane’s long history and are an authentic reminder of its glory days over the clouds.